With products on kitchen counters across the nation, Hamilton Beach designs, markets, and distributes a multitude of small electric household appliances. Our portfolio includes blenders, slow cookers, coffee makers, food processors, breakfast sandwich makers, rice cookers, irons, mixers, toasters, ice cream makers, electric knives, can openers, breadmakers, grills, countertop ovens, air purifiers, and more, sold under the Hamilton Beach®, Proctor-Silex®, Eclectrics® Collection, and TrueAir® brands. We also cater to bars, restaurants, and hotels with a commercial lineup of blenders, drink mixers, coffee makers, toasters, irons, hair dryers, and other solutions for the hospitality and foodservice industry. Most Hamilton Beach products are sold through retailers and wholesale distributors in North America. In 1904, L.H. 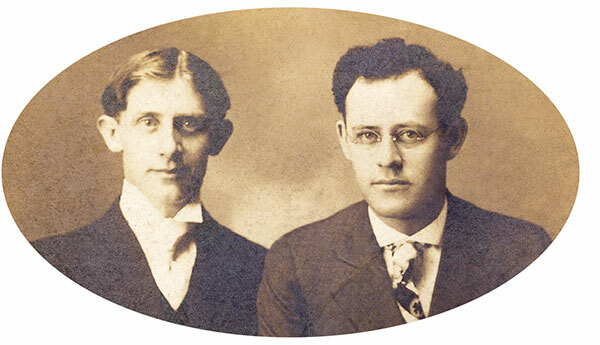 Hamilton and Chester Beach both worked for U.S. Standard Electrical Works in Racine, Wisconsin. The business manufactured electrical devices and began to develop a line of motor operated products for household use. At the time, electric motors were only used in commercial applications. Chester Beach developed an innovative lightweight universal motor used for appliances in the home. The Hamilton Beach Manufacturing Company was founded in 1910 and began to produce universal motor-driven appliances, including the now iconic Drink Mixer. Hamilton Beach’s product line expanded to include food mixers, juice extractors, fans, floor polishers, meat grinders, and even jewelers’ motors. Meanwhile, in 1920, Proctor & Schwartz, Inc. was formed as the new name for Philadelphia Textile Machinery because of a shift towards other products such as thermostatically controlled irons and toasters. Around 1960, Proctor & Schwartz Electric became interested in the Silex Company, a manufacturer of coffee makers and irons. The Proctor and Silex companies merged with great success to offer consumers a wide array of appliances. The company had many firsts like the silent toaster, iron with an attached cord, electric glass coffee maker, and pop-up toaster. In 1990, two powerhouse appliance manufacturers — Hamilton Beach and Proctor-Silex — came together to create the largest U.S. manufacturer of small kitchen appliances. Today, Hamilton Beach continues to grow with a progressive new image and continued dedication to serving consumers. Based in the suburbs of Richmond, Virginia, we currently employ 550+ people globally. Hamilton Beach expanded internationally in 1995, and we continue to produce innovative, award-winning products for consumers in North America and beyond. 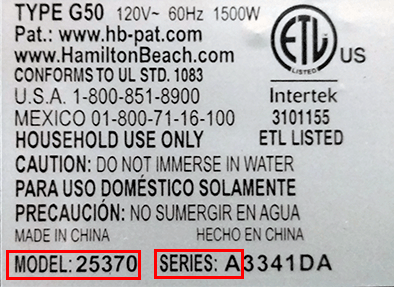 Brazil, India, and China are the newest markets for Hamilton Beach products. An internal innovation team is devoted specifically to researching how consumers use products in their homes. This information is used to launch unique products that ultimately solve problems or address unmet consumer needs. Some of these include BrewStation® Dispensing coffee makers with no carafe, Stay or Go® slow cookers with clips to keep the contents from spilling, The Scoop® coffee maker with a combined scoop and filter, Durathon® irons with ultra-durable soleplates, and Breakfast Sandwich Makers to let consumers make custom breakfast sandwiches at home.